Welcome to the wesbsite of the symposium Determining Creative Practice. 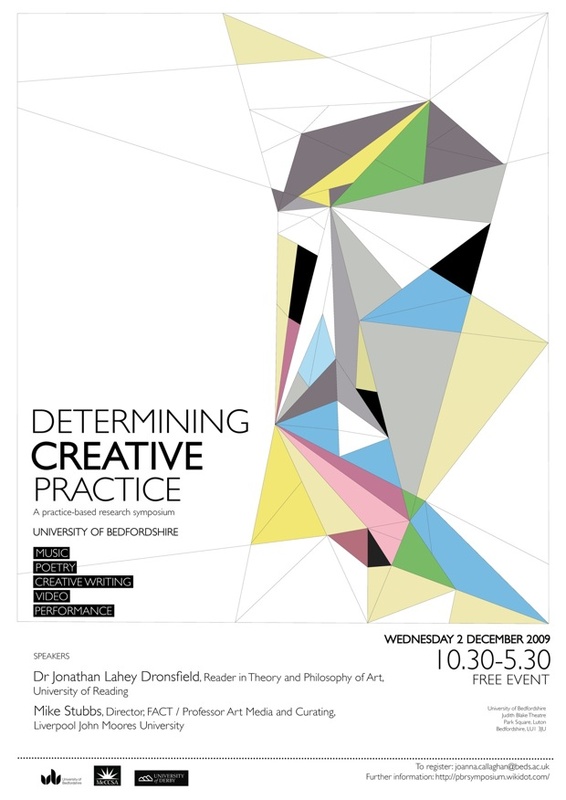 The symposium will be held on Wednesday 2 December 2009, 1030-500 at the University of Bedfordshire. The event is supported by Research Institute for Media, Art and Design and the Teaching and Learning Directorate at the University of Bedfordshire, University of Derby and MeCCSA Media, Communication and Cultural Studies Association.